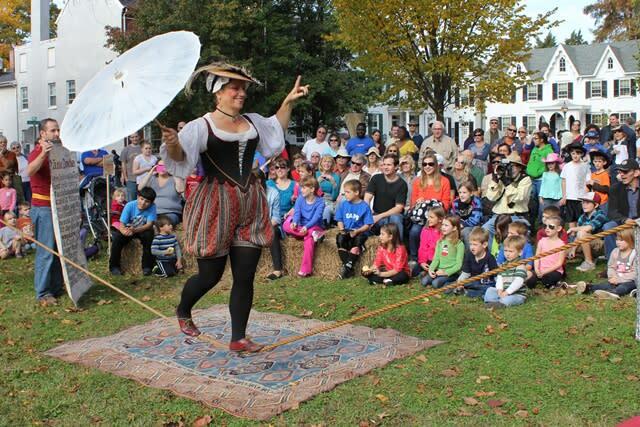 Leave the 21st century behind at the First State Heritage Park 18th Century Market Fair which recreates the sights and sounds of the autumn market fairs held on The Green in Dover in the mid-1700s. Enjoy free fun for all ages –all with an 18th-century twist! Rain or shine. Watch the comical interactive performance of Mr. Peter Gardiner - Colonial Conjurer. Enjoy 18th-century style entertainment like Signora Bella who brings to life the tradition of the travelling performer of the eighteenth century as she juggles knives and flaming torches on the rola bola and the slackrope. Watch demonstrations of traditional trades and crafts like glass making, woodworking, basket weaving and spinning. 18th-century-style music and dancers add to the period atmosphere. Rain or shine.